HRBBA is a volunteer-run organization offering boys in 4th - 8th grades a basketball program where they can develop skills and knowledge in a competitive atmosphere. Players must live or attend a school within the Hopkins School District 270 boundaries to participate. 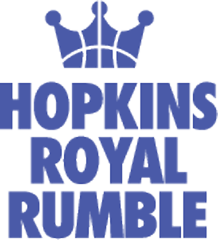 Welcome to the 2019 HRBBA Royal Rumble!